If you have been sick of iTunes sync and worried about other data will be erased, you can choose this free iPhone music transfer tool. It will help you totally get rid of iTunes sync limitations, and all your original data keeps the same. 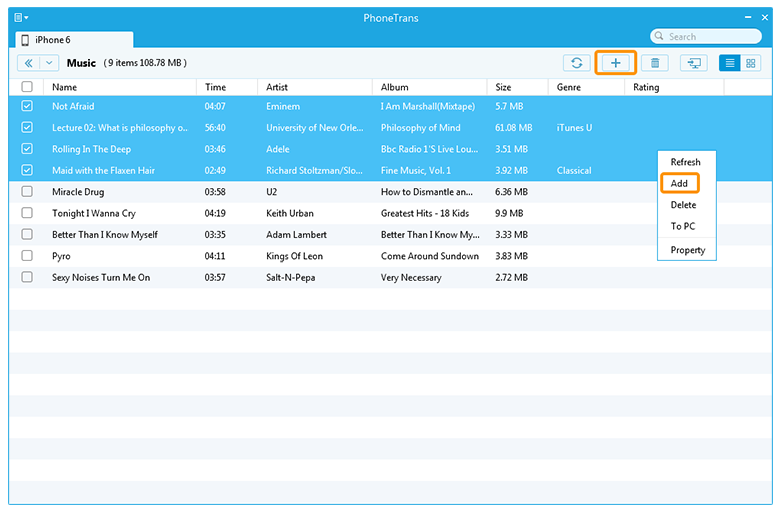 With this iPhone music transfer software, you can add your music freely and quickly. 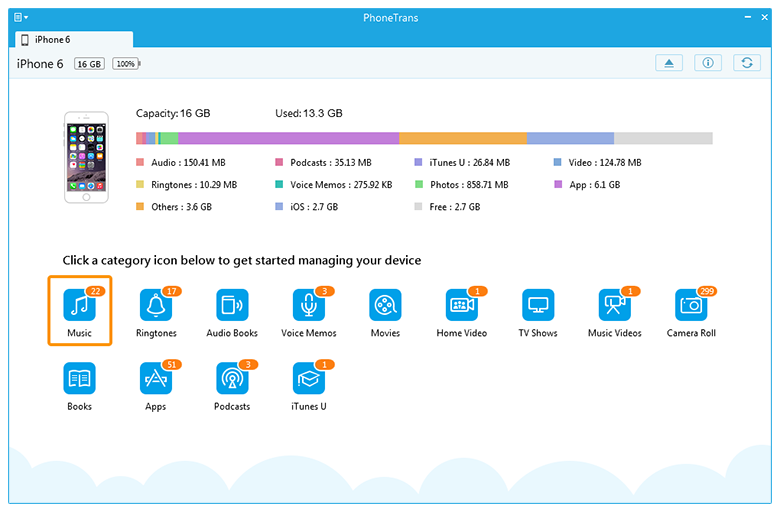 Step 1: Connect your iPhone (iPad, iPod touch) once logging in PhoneTrans, and then, tap Music button on the main interface. Step 2: To import music from computer to your device, you can click the button on the top-right corner. Next, highlight the song and click "OK" button to start importing a song to your device. It's also ok to drag-n-drop files to add your favorite songs. Please make sure the files you uploaded are supported by your iPhone, iPad and iPod touch.